WASHINGTON — When it comes to the smart grid, count consumer advocate David Springe as a nonbeliever. Although he wrote that definition eight years ago, Springe, executive director of the National Association of State Utility Consumer Advocates (NASUCA), said it still applies. “The vast majority of customers don’t interact with their meters; [they] aren’t on time-of-use rates,” he said. Customers, he said, have seen little benefit from replacing $100 analog meters that were depreciated over 30 years with digital meters that cost twice as much and are depreciated over only five years. “Frankly, all that meter infrastructure was pretty much used to read meters once a month. We spent a lot of money. If we did it under the premises of providing something that consumers wanted, we failed. 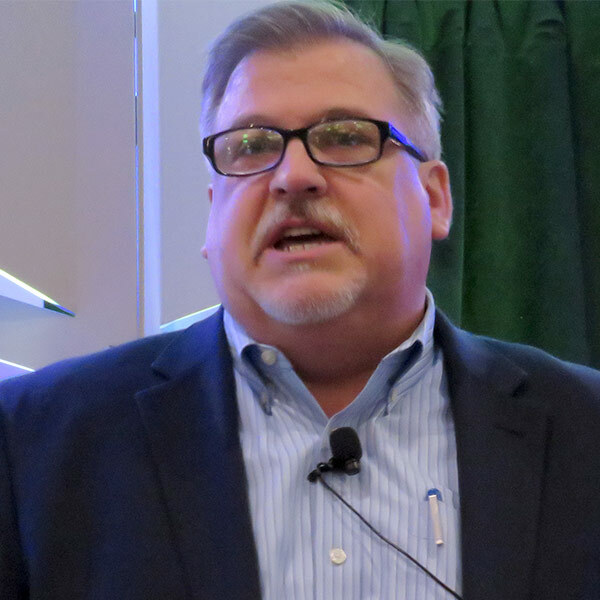 Instead of lusting after new technology, Springe said, utilities and regulators should focus on increasing efficiency and reducing costs through outsourcing and cloud computing. “Why does every utility have its own communication system? Meter system? Back office systems?” he asked. 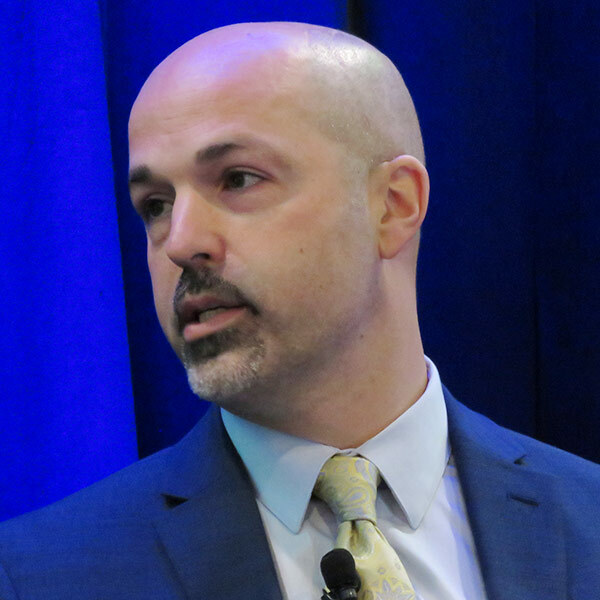 Springe said consumers are seeing reduced generation costs swamped by increases in distribution and transmission charges. 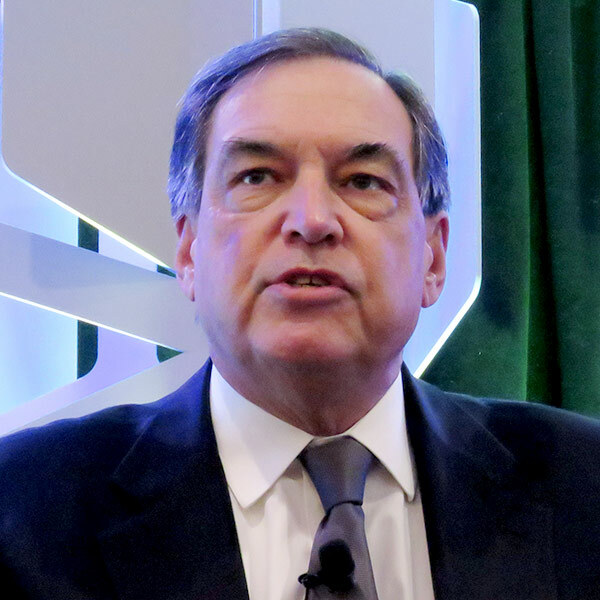 That’s due in part to antiquated cost-of-service ratemaking that is preventing innovations that could save consumers money, said former FERC Chair Jon Wellinghoff, who shared a panel with Springe. Wellinghoff is much more bullish on new technology, such as transmission devices that can add capacity without reconductoring or adding new substations. 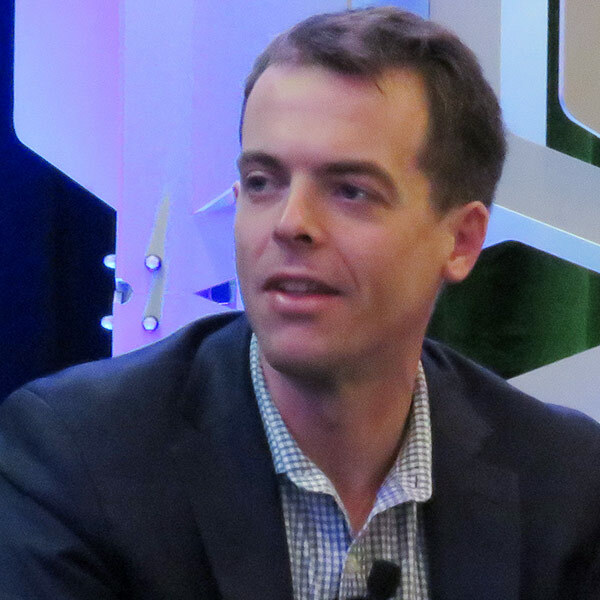 He cited a project that Pacific Gas and Electric is building in West Oakland, which will combine distribution-level storage, behind-the-meter controls for demand response and distributed generation, and the aggregation of rooftop solar to address reliability concerns over the retirement of a Dynegy generator. The $100 million project won out over a $300 million proposal to add a new 230-kV transmission line. 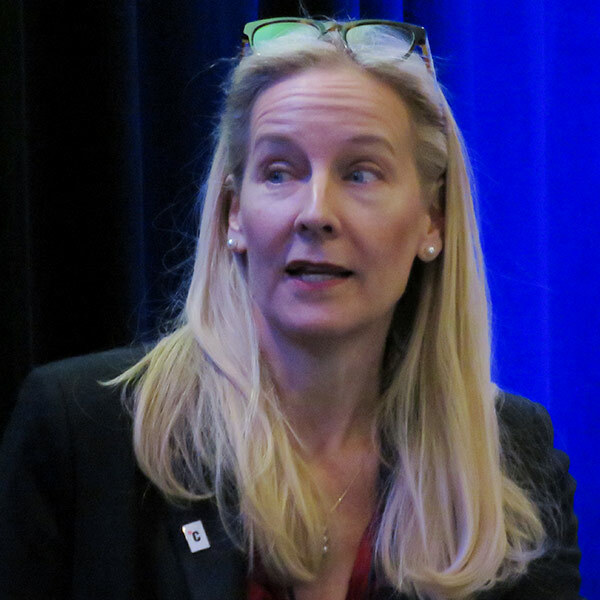 That was good news for consumers, but not for PG&E, which won’t get to earn a return on the more expensive transmission investment, said Wellinghoff, who served for seven years as Nevada’s consumer advocate before joining FERC. “We have to reconcile this somehow … so that utilities will have … incentives aligned with what we all would like to have for consumers, which is [an] efficient, cost-effective system that is clean,” he said. 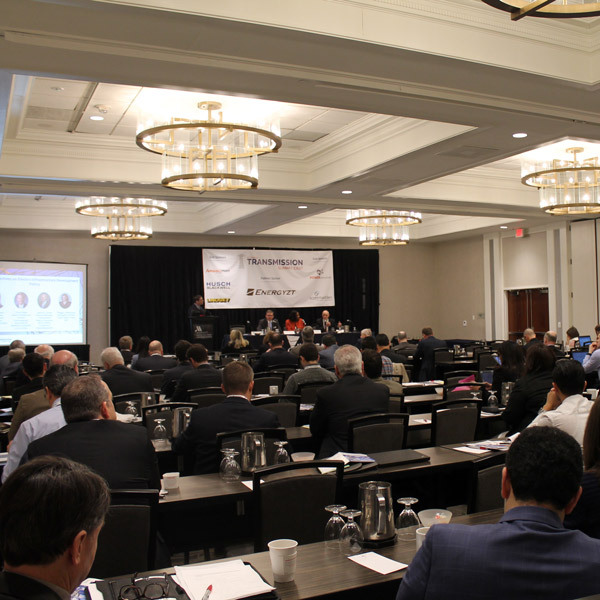 The conference also featured discussions on prospects for energy legislation in the new Congress. 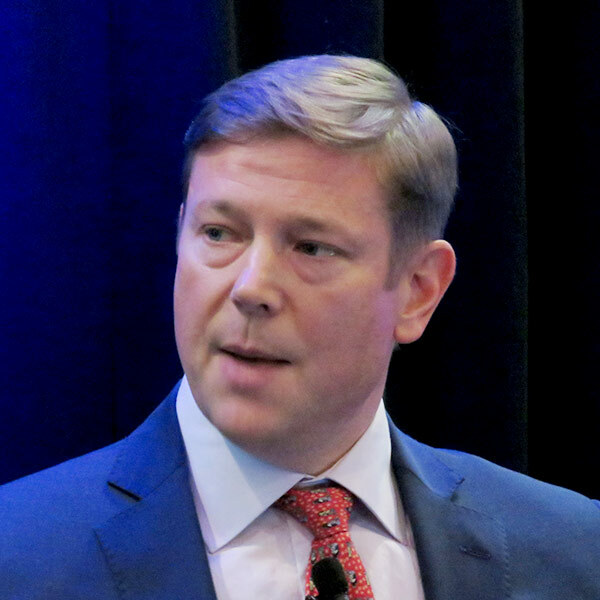 The new Democratic House majority will have only a few months to work with Senate Republicans and President Trump on energy policy before the 2020 presidential election intrudes, said Jason Hartke, president of the Alliance to Save Energy. Hartke said a bipartisan infrastructure bill that includes spending for grid modernization and electric vehicle charging is “the one opportunity for a home run.” But he said the fate of such legislation hinges on whether Trump engages and can win the support of the Republican-controlled Senate. 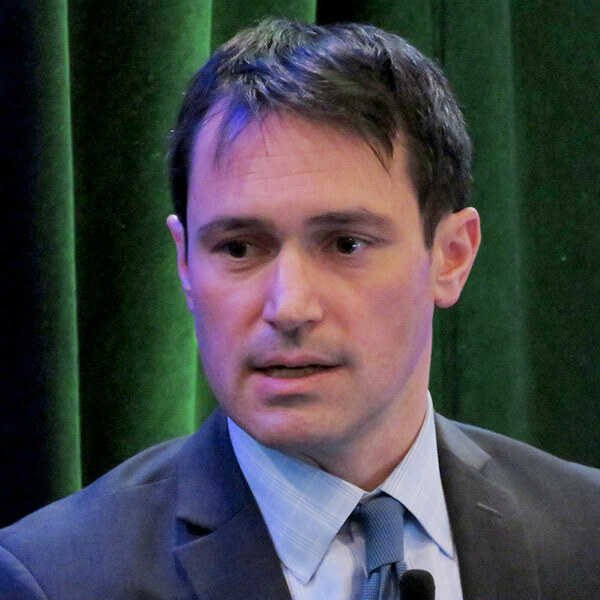 Attorney Andrew Shaw, senior managing associate with Dentons, said new members who campaigned on bold action on climate change will be motivated to support smaller changes so they can take credit for legislative accomplishments. “Something like an infrastructure bill — which faces a lot of hurdles undoubtedly — is a vehicle that you could maybe get some of those wins, because everybody wants to be able to go back home and be able to talk about what they’re doing,” Shaw said. 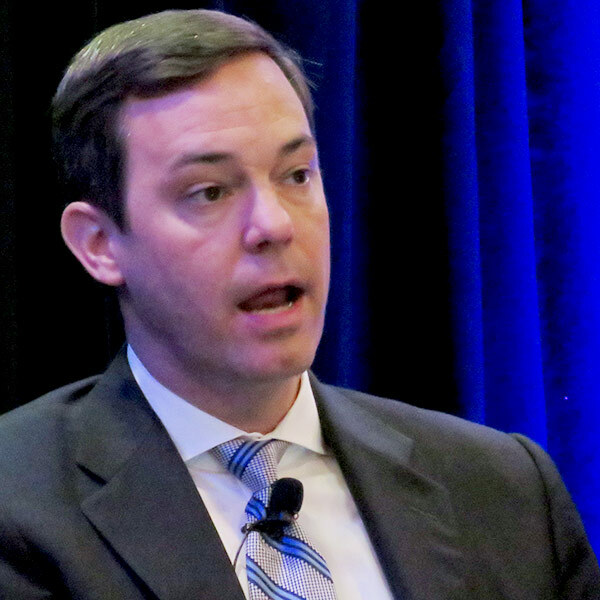 Ronen noted that Cantwell, the ranking member of the Energy and Natural Resources Committee, cosponsored the $7,500 passenger EV tax credit with Orrin Hatch (R-Utah). “Unfortunately, in the House we did lose some more moderate [Republicans] who do believe in climate change science and were willing to engage,” Shaw acknowledged. 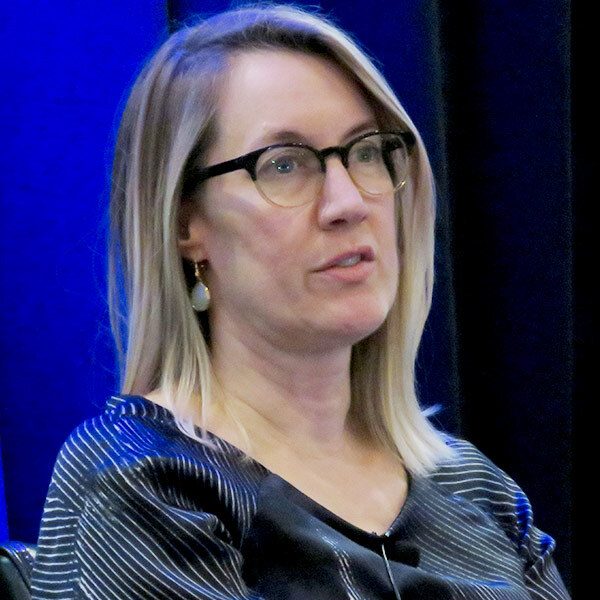 Companies are “being forced to act [on decarbonization] because government has failed us,” said Amy Davidsen, North America executive director for the Climate Group, which manages RE100, a collaborative of more than 150 businesses that have committed to using 100% renewable electricity. 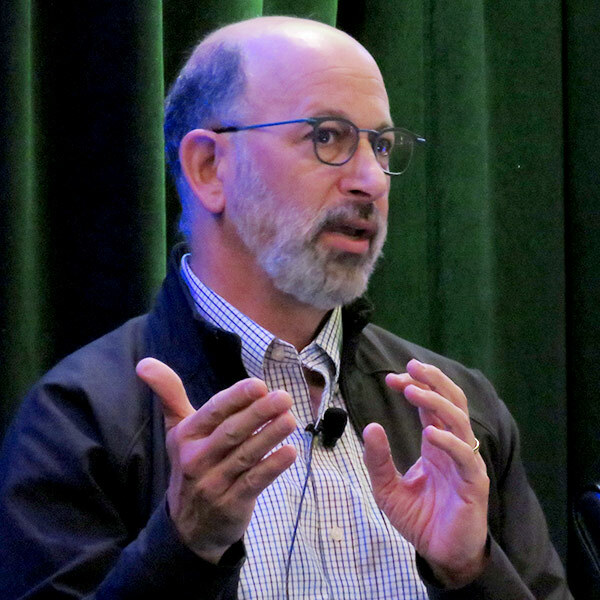 Bill Weihl, former Google “green energy czar,” predicted RE 100 companies will grow to more than 300 in the next several years. Weihl said the big innovation the last few years has been less about technology and more about development of new products, such as the two dozen “green” tariffs in 15 states. But Hans Royal, director of strategic renewables for Schneider Electric, said many of the tariffs are too expensive or put too much risk on corporate buyers to be effective. 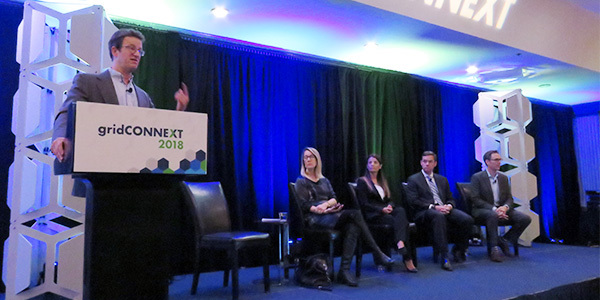 The two-day conference also provided an update on accelerating efforts to electrify city bus fleets. “The orders for battery electric [buses] are ramping up really rapidly,” said Lisa Jerram, director of bus, paratransit and surface transit for the American Public Transportation Association. Jerram said only about half of city transit buses are now pure diesel, down from 90% 10 years ago. Compressed natural gas powers about 25% of fleets now, with hybrid diesel-electrics comprising about 20%, according to Jerram and Ryan Popple, CEO of electric bus maker Proterra. But Jerram said many transit agencies need utilities’ assistance to make the transition. “They don’t understand utility systems that well; they don’t understand rate structures,” she said. Utilities also can help bus operators manage the logistics of charging in their depots and on routes, she said. 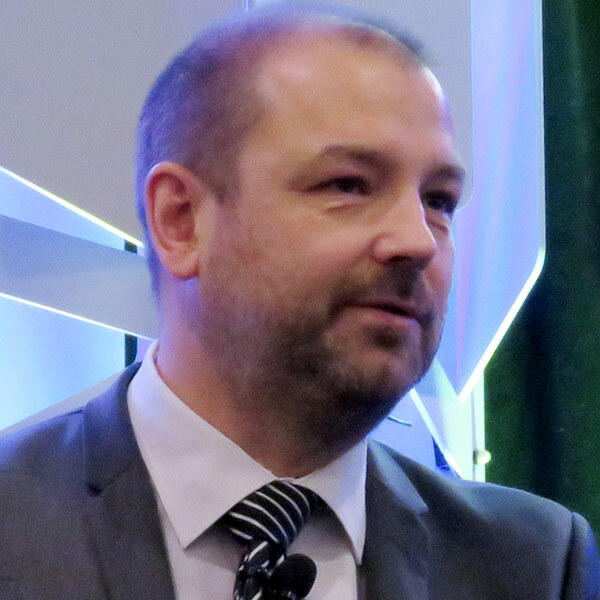 The conference heard a keynote address from Laurent Schmitt, secretary-general of the European Network of Transmission System Operators (ENTSO-E), which he described as “kind of the FERC of Europe.” The organization has 43 transmission system operators in 36 countries. Schmitt said although the Nordic countries are blessed with offshore wind, it is a challenge to move the power to load centers. “Our system does not get planned as efficiently as what we would like, and it’s getting very hard to get transmission lines [sited] in Europe, especially getting people from certain states understanding that they have to build the line for the sake of other Europeans,” he said. Schmitt said Europe does not use LMPs, “but I think we will have to go into a similar model in the future” to address scarce grid capacity. Europe also faces challenges as renewables replace traditional generation, he said. Fossil fuels (coal, gas, oil, mixed fuels and peat) were responsible for 43% of Europe’s energy production in 2017, with renewables adding 33% and nuclear 22%. “Are we going to be able to maintain frequency … when we have no rotating mass?” he asked.